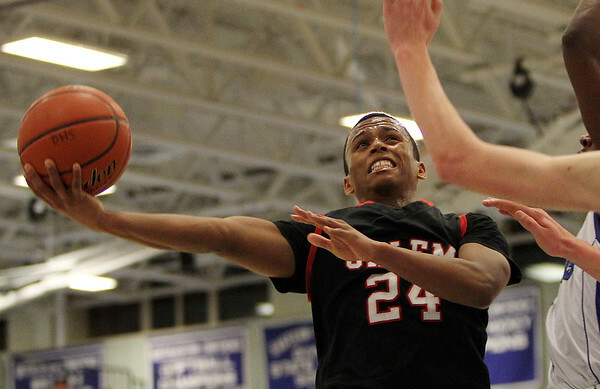 Salem guard Kelven Perpetuo (24) goes up for a layup while being contested by multiple Danvers defenders on Friday evening. DAVID LE/Staff photo. 1/16/15.